It seems like just yesterday—and it probably was—that we were overrun with mystery novels with the word “girl” in the title. We’ve had girls who were on a train, gone, interrupted, in a spider’s web, waiting with a gun, in a maze, good, bad, running, walking, skating, in the woods, the other, wrong, or right. I am not making a judgment about the quality of those novels—most of which were quite good. But lately I am seeing many novels with the words “sister” or “sisters” in the title. Is sister the new girl? So here are some of the titles I’ve seen. Again, no judgment about the quality of those novels—most of which were quite good, many of which I’ve favorably reviewed. What My Sister Knew, by Nina Laurin (Grand Central): Andrea “Addie” Warren hasn’t seen her twin brother, Eli, in 15 years, when he was convicted and sentenced to prison at age 12 for killing their mother and stepfather by burning down their house. 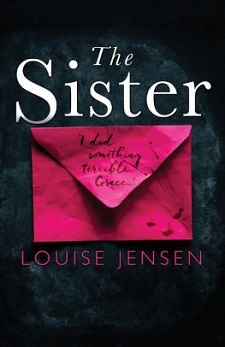 The Sister, by Louise Jensen (Grand Central Publishing): A grieving woman takes in a person claiming to be the half-sister of her late best friend. The Other Sister, by Sarah Zettel (Grand Central Publishing): Two sisters have put up with their controlling father all their lives. Now, they have other ideas. The Favorite Sister, by Jessica Knoll (Simon & Schuster): Two sisters join the cast of the reality TV series Goal Diggers. One won’t make it out alive. Sister, by Rosamund Lupton (Broadway Books): A woman gets on a plane to London and receives a call that her sister is missing. Then she learns there are a lot of things she doesn’t know about her sister. The Second Sister, by Claire Kendal (Harper): A woman’s obsession over the decade-old disappearance of her sister overwhelms her life and puts her at odds with her parents. The Sisters of Blue Mountain, by Karen Katchur (Dunne Books/St. 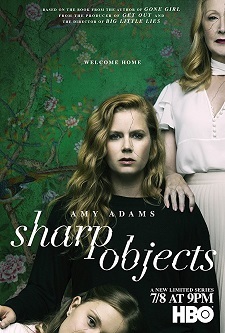 Martin’s): Estranged sisters reevaluate their relationship and deal with their father’s poor health. 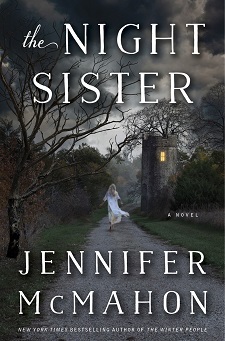 The Night Sister, by Jennifer McMahon (Doubleday): A modern ghost story moves through three eras and revolves around a family’s murder, a hidden room, and the disappearance of a teenager. The Good Sister, by Wendy Corsi Staub (Harper): A killer stalks his teenage victim after meeting them online. Bad Sisters, by Rebecca Chance (Simon & Schuster): Three ambitious sisters with a deadly secret. I often joke that everything I know, I learned from mysteries. A lot of things I learn start in a mystery book, thanks to detailed research that really good authors conduct. Yes, it’s fiction and that means the author made it up. But that’s the plot, character, dialogue. Most authors are meticulous about making sure certain elements of a novel are based in reality. I was always good in history and it was one of my favorite subjects. But history—at least the way most students learn it—is just a bunch of numbers. What brings history to life are the people behind those numbers. Take Brad Meltzer. When you read about something in a Meltzer novel, you can pretty much take it to the bank that he is writing about something that is real. With no embellishments. He saves those embellishments for his plots and characters. We should expect no less than the truth from the author who is the host of Brad Meltzer’s Lost History, on H2, and Brad Meltzer’s Decoded, on the History Channel. Meltzer also is also responsible for helping find the missing 9/11 flag that the firefighters raised at Ground Zero, making national news on the 15th anniversary of 9/11. And through the years, Meltzer has had unbelievable access to archives and several US presidents. I think that’s because Meltzer writes from the heart and respects history. In 1898, John Elbert Wilkie, appointed to be head of the US Secret Service, was a friend of magician Harry Houdini. Wilkie borrowed some of Houdini’s techniques to enhance the department’s surveillance techniques. Dover Air Force Base in Delaware is where bodies of fallen soldiers, covert CIA operatives, and others who give their lives overseas on behalf of the United States are prepared for burial. The morticians here go to great lengths to prepare these heroes for burial and so families can, if ever possible, have an open casket. But for me, the most astonishing fact—and most interesting—was the position of the Army’s artist-in-residence. Since World War I, the US Army has had an actual painter on staff who documents disasters. This person often sees, through the prism of being an artist, what others cannot. Even photographers haven’t captured aspects that the artist-in-residence has. During the recent Literary Feast panel of which I was the moderator, Meltzer was again telling this story, still amazed that while everyone else runs into battle, this artist only has paintbrushes. “I said, ‘That’s the craziest person I’ve ever heard. I wanna meet him.’ And my male bias got the best of me because they quickly said to me, “You mean her. You want to meet her.” And I was like, “Yes, I want to meet her’,” Meltzer said during our panel, which was sponsored by the Broward Public Library Foundation. 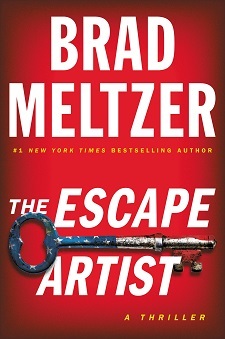 And in The Escape Artist, readers do indeed meet her. 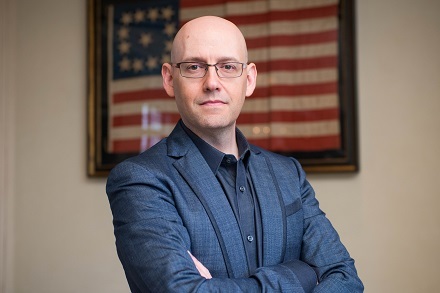 Photo of Brad Meltzer by Michelle Watson.